I’ll happily nail my colours to the mast from the outset. 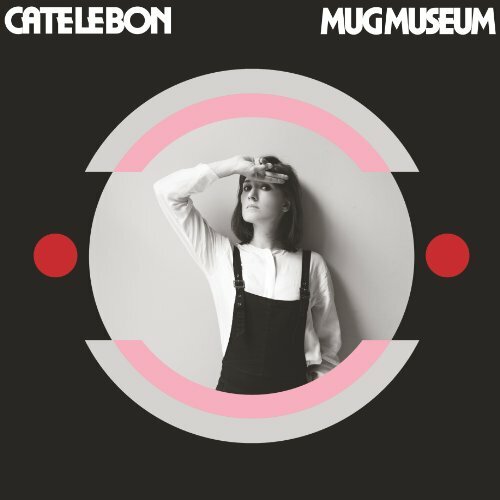 I’ve been a huge fan of Cate Le Bon since hearing her debut album Me Oh My, a beautiful collection of tunes with a slightly dark undercurrent and the most bittersweet and deeply personal lyrics, sometimes dismissed in retrospect as a bit lightweight by fans of her subsequent more eccentric oeuvre. Now based in LA and mixing in hip company, her fourth full-length offering is perhaps closer in style and substance to Cate’s marmite 2015 Drinks collaboration with Tim Presley than her earlier material. It’s still disarmingly (if unconventionally) beautiful in places, where Le Bon’s vocals and simple but deadly melodies reach deep inside you, as on 'Love is Not Love' and 'I Was Born on the Wrong Day'. Now at this juncture can we please put matters straight? The girl from Penboyr can definitely carry a song. In fact despite being a mistress of the heavily accented drone when she wants to be, that rather one-dimensional “Welsh Nico” tag does justice to neither artist. “Wonderful” (probably a lead single given the rotation it seems to be getting on some of the more discerning radio stations) has the jaunty, angular feel that permeates much of the album. In fact things get delightfully kooky on “Find Me” and the tango light of “I’m A Dirty Attic”, on which Le Bon does give vent to her lower register, whereas “I Wasn’t Even In The Room” invokes the tantalising prospect of Cate fronting a vintage-era Magic Band. There are times, just now and then, when Le Bon appears to be trying too hard to sound “out there” and some of the traits that are usually so singularly endearing come across as irksome, even a little contrived. Ah, but then that’s just a minor quibble from someone who has come to expect too much and is at risk of overdosing on a good thing. A very good thing indeed. The love affair continues, honest.